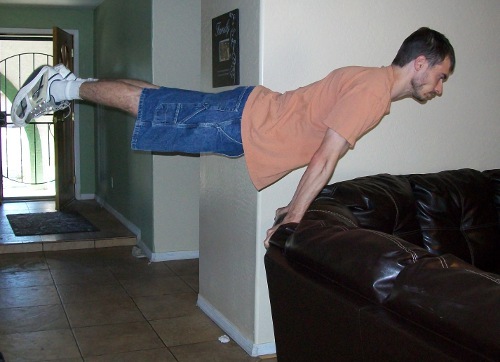 I want to be able to do a maltese, so I figured a planche uses similar muscles and is easier to train so I started with that. With the next Rocky Mountain Open (hosted by the Air Force Academy on Jan 14th) coming up in under two months I will be focusing on putting my routine together until then. I want to score above 13 this time (I scored 11.0 last time) so I need to clean up my form quite a bit. About a month ago I started going to an adult session at AZ Sunrays (they are 30 miles closer to my house than Aspire, though less equipped) once a week but their rings are strapped to the rafters with no springs so I haven’t tried swinging on them yet. The equipment guy there ordered springs and had them in a box this week but needs a couple more connections to get them installed. He promised they would be up next week, but even if they are not I’ll start working on the first half of my routine which is mostly strength moves and forward/backward rolls. In the meantime I’ve been playing on the P-Bars, Pommels, and High Bar – building up my hands and overall conditioning. This entry was posted in Skills, Training Equipment, Training Plans. Bookmark the permalink.